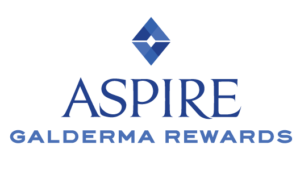 Join the free Aspire Rewards program today and you can save up to $180 this month! Restylane® Lyft, which gives lift to your cheeks, and Restylane® Silk, which provides fuller lips, are both featured savings right now: purchase two syringes and save $85 or purchase three and save $180. This is a great deal on two of our most popular fillers you won’t want to miss. Treat yourself to our new VIP Massage program at Azura Skin Care Center! Last month, you spent all of your time and gift-giving focused on your loved ones… this month, it’s time to invest in yourself! Join our Azura VIP Loyalty Massage Program and enjoy discounted rates on massage services that you can enjoy monthly. The best part? Your credits don’t expire! Two 60-minute massages are just $140 when you join. Kiss Those Spider Veins Goodbye for Good! Say goodbye to spider veins in 2017 at Azura Skin Care Center! Before you know it, it’ll be time to shed bulky layers and boots for bikinis, shorts, dresses, and flip flops. Get ahead of the game – especially if you’re planning a few springtime vacation getaways – by scheduling a 25-minute laser treatment session to eliminate those pesky spider veins or treatment of cherry angiomas. Regularly $285, each session is only $185 during the month of January. Most clients typically need between one and three treatments. Now Offering Red-Carpet-Ready Oxygen Facials at Azura! We have purchased the fantastic Rejuvenate Oxygen Facial Treatment device from Intraceuticals and will be debuting its amazing results at Azura during the month of January! This is a “red carpet ready” device and is used to create a natural glow before events by celebrities like Jennifer Lopez, Madonna, and so on. Stay tuned for a launch party with our representative in February – you know we will be sending our VIPs an advance invitation to join in the fun and glamour. Exilis skin-tightening laser treatments at Azura Skin Care Center – See before and after photos here! Many of our clients start the new year asking for options for skin tightening and fat reduction. 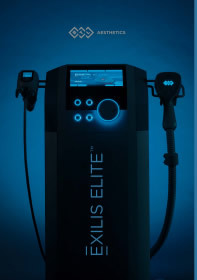 Our safe and effective Exilis laser is one of our favorite treatments to recommend! You can see visible results in just two-to-six sessions, on average. Take 20% off all Exilis packages this month at Azura. Learn more here! View our real client before and after photos here. 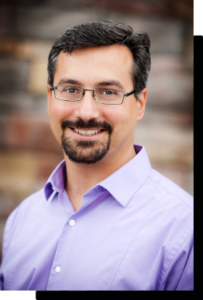 Dr. Angelo Tellis, the Regenerative Medicine Specialist behind New Bern, NC’s Aegean Regenerative Medicine, is now seeing patients who reside in the Triangle area at Azura Skin Care Center in Cary. He will join us in the office and is available for consultations on Friday, January 20, 2017, and Saturday, January 21, 2017. If you didn’t get a chance to meet Dr. Tellis at our Azura Appreciation Event back in November, you’ll want to read more about the various orthopedic and cosmetic services offered at Azura now thanks to our partnership with Aegean Medicine: Tumescent Liposuction, natural lipotransfer, and even scarless breast reduction are just a few of the many services available. Consultations are $50. Tune In: On Friday, January 20, 2017, we’ll do a Facebook Live interview with Dr. Tellis during the afternoon. Be sure to stay tuned for that and visit with questions! 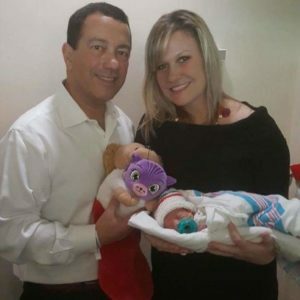 Congratulations to Michelle V., one of our amazing aestheticians, and her husband Val, on the birth of their beautiful daughter Giselle! Giselle was born on December 17, 2016, weighing in at 3lbs 14oz. Mommy and baby are doing great! Val and Michelle, we could not be happier for you! She is as sweet as can be and we are all so in love with her already. Please call us at 919-307-8033 or email Hello@AzuraSkin.com to schedule your next visit to take advantage of our January special offers.